Imran Hosein at the False Flag Islamophobia Conference. We discuss the problems afflicting Islam and Muslims in these “akhir uz-zaman” end times; the pseudo-Islam or “protestant Islam” offered by salafists including such extremists as ISIS; the role of Russia in preserving real Christianity (which has almost disappeared in the West); and the role of dreams and visions in Islam. 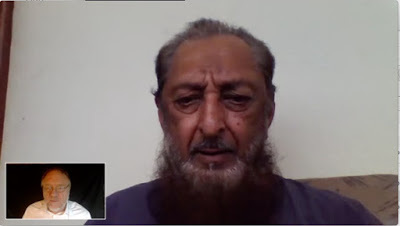 Imran Hosein is the author of many books including Methodology for the Study of the Qur’?n. This show was broadcast on December 5, 2016. This entry was posted on Saturday, December 3rd, 2016 at 12:32 pm	and is filed under Anti-War, Education, False Flag/Fake Terror, Kevin Barrett, News, Nuke War - Nukes, People, Protest, Spirit. You can follow any responses to this entry through the RSS 2.0 feed.